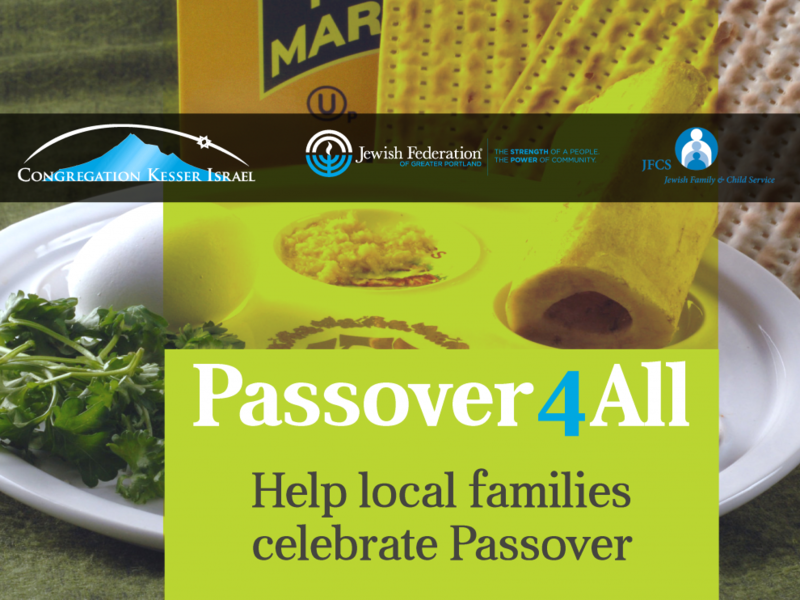 In less than 10 days, our community was able to raise over $7,000 to provide Passover food boxes to needy families in our area, so all are able to celebrate Passover. Because of your generosity, family will receive: 3 Dozen Eggs, 1 Jar Gefilte Fish, 1 Jar Horseradish, 5 lb. Box of Matzos, 10 lb. Potatoes, 2 Boxes of Matzo Ball Soup Mix, 1 Bottle Wine for Kiddush, 1 Whole Kosher Chicken, and 1 Box Jelly Fruits, as well as the experience of Passover, central to our Jewish identities. Thank you for strengthening our community for all! This community effort was organized by the the Jewish Federation of Greater Portland, Congregation Kesser Israel, and Jewish Family & Child Service.